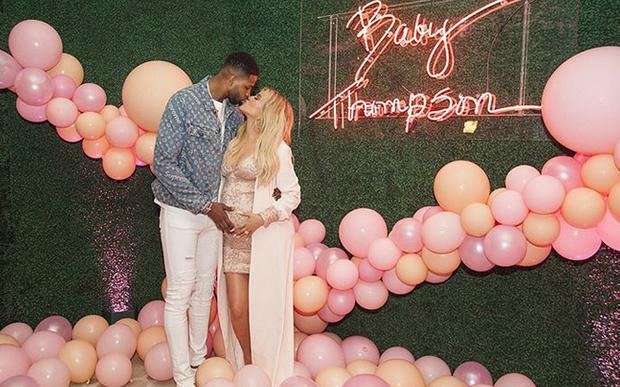 Khloe Kardashian enjoyed a lunch date with Tristan Thompson on Friday, their first public outing since he was accused of cheating on her when she was pregnant. The 'Keeping Up With The Kardashians' star was spotted dining out with her partner - with whom she welcomed daughter True last month - and their friends at the TownHall restaurant in Cleveland, Ohio. Khloe looked in good spirits as they all chatted over the meal, TMZ reports. Meanwhile, Khloe has been keeping a low profile since allegations emerged that the basketball star had been unfaithful to her while she was heavily pregnant. Her mother Kris recently spoke of how "proud" she is of her daughter's strength. She said: "Khloe is amazing, I am so proud of that kid. I get chocked up because she is such a good mum and honestly it gets so emotional because I was in Cleveland last week and it was so snowing, and she was nestled in and the nursery, and the baby and she is just concentrating on that, just being a mum, her baby and that is what her sisters are doing as well." Despite their hiccup over the cheating claims, Khloe "hasn’t given up" on her partner. A source shared previously: "She has one foot out the door but is also holding on to the fact that her and Tristan can make it work. She hasn't given up on him yet, but also hasn't really been focusing on their relationship. "When they see each other, it is all about the baby and parenting together. Khloe has fallen in love with him all over again, watching him be a dad to True, but [she also] knows she needs to really take a step back and make the right decision."